Like most British Invasion bands, The Rolling Stones started out covering American music. In the Stones case, there was an immediate affinity for blues, particularly the electric variety from Chicago’s African American musicians. Indeed, the band took its name from a Muddy Waters song. The band also gravitated to the rock ‘n roll artists from Chicago’s Chess Records, particularly Chuck Berry and Bo Diddley. Unlike most of their peers, the Stones never veered too far from their roots. 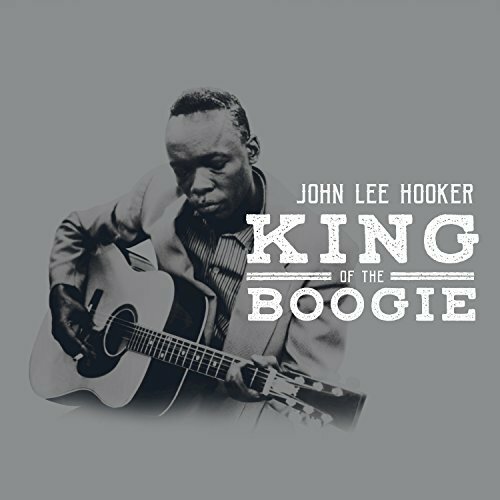 They completely absorbed the loose style and ironic lyrics of their Chicago influences, and never stopped including cover versions of African American blues, soul and early rock songs on their albums. In fact, their most recent studio album, Blue and Lonesome, is a tribute and return to their blues roots. Back at the time when the British Invasion bands were forming, the BBC presented hours of live popular music on both radio and TV. Bands like the Beatles, Rolling Stones, Kinks, Zombies and others were able to play in front of a national audience, a hugely expanded stage from the small clubs where they honed their craft. On Air collects the Stones’ BBC performances from 1963-65, with a bonus of restored sound and a nice booklet essay by Richard Havers. By the time they took to the airwaves, even in 1963, less than a year after forming, the Stones were a tight ensemble. The original band—Mick Jagger, Keith Richards, Brian Jones, Charlie Watts and Bill Wyman—had a coherent and shared musical vision and were at ease playing together. They weren’t yet capable of the musical fury needed for some of the songs they were covering, but they tried hard. The Stones were at their best covering Chuck Berry and Bo Diddley, able to use the faster pace of true rock ‘n roll to their advantage. On the slower bluesier material, and also, curiously, on their original tunes, these performances aren’t up to the polish and energy of contemporary studio album tracks. That could be due to the tight schedule and lack of rehearsal time for BBC productions. 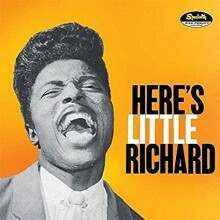 In any case, the highlights are their covers of Berry’s “Around and Around” and “Carol,” which became staples in the Stones’ live repertoire through the ‘70s and ‘80s; plus Diddley’s “Cops and Robbers,” “Crackin’ Up” and “Mona.” Among the originals, a highlight is the last track on the album, the instrumental “2120 South Michigan Avenue.” The song title pays homage to Chess Records’ studio address. Early highlights in the Stones’ long and storied career were recording sessions at Chess Studio, in 1964 and 65. 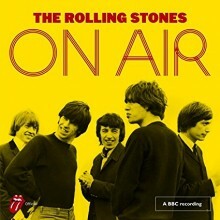 Some of this music was previously released as part of a BBC-produced radio documentary, “The Rolling Stones Story.” A red-vinyl promotional LP contained “Cops and Robbers,” “Memphis Tennessee,” “Roll Over Beethoven” and “Fannie Mae.” The sound quality on that LP was not anywhere as good as this new 2-CD set. The CD credits “demixing” engineer James Clarke, who also worked sonic miracles with the Beatles’ live performance recordings for Ron Howard’s “Eight Days A Week” documentary and the CD reissue of their Hollywood Bowl concerts. The Abbey Road engineers were able to “demix” (isolate each instrument, clean up the noise around it and put it on a separate digital track), then remix some of these original-mono recordings into stereo. The resulting sound is clear, but there is a “skeletal” feeling to it, like the band has been separated too much, losing some of the energy and cohesion. I would have preferred new mono mixes, with each instrument and vocal “scrubbed” of noise and distortion. 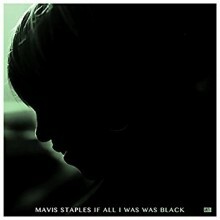 The power and synergy of a clean mono mix is unbeatable, especially with this material. On Air is a must for a Stones fan, because it shows the band outside of the studio in its earliest form, young and hungry and building toward bigger things. For a fan of British Invasion music, the Stones offer a master class in how it’s done. The album also documents some of the Stones’ earliest covers of Black music, which underpinned the transformation of their sound during the 1960s. Editor’s Note: We’re featuring this album as part of our ongoing exploration of the Black roots of rock ‘n roll, an initiative begun in 2009 with the conference “Reclaiming the Right to Rock: Black Experiences in Rock Music.” For further reading we recommend Maureen Mahon’s book, Right to Rock: The Black Rock Coalition and the Cultural Politics of Race (Duke University Press, 2004). 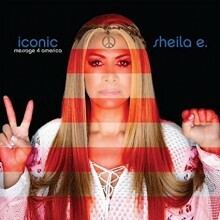 Sheila E.’s Iconic: Message 4 America offers a musical palette of iconic songs, primarily from the ‘60s and ‘70s. Though the album dropped in September, the self-released project didn’t garner as much attention as it deserved, so we’re happy to give it a shout out during Black History Month. Described as a musical movement for turbulent times, Sheila conceived of the album as “a call for us to rise up and stand for something that is greater than our self-interest.” Instead of creating new music, she chose to reinvent “some of the greatest protest and revolution songs . . . to fit current times.” Assisting her in this endeavor are members of her band plus a bevy of exemplary guests. Of course, Sheila Escovedo herself is a renowned drummer and percussionist perhaps best known for her work with Prince, but she’s also an amazing vocalist as she proves on each and every track. The first celebrity guest enters on the Beatles’ “Come Together,” with Ringo Starr taking over the drum kit. Once again, a rousing spoken intro kicks off the arrangement (as in the Primal Scream version): “This is a beautiful day / we are unified / we are of one accord / today we are together / when we are together we got power!” Sly & The Family Stone’s “Everyday People” also features original band members: Freddie Stone on lead vocal and guitar, and Lynn Mabry on tambourine. 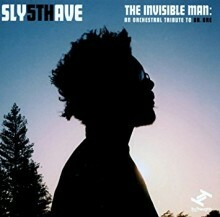 An album of this nature can’t be complete without representation from Marvin Gaye and Curtis Mayfield. 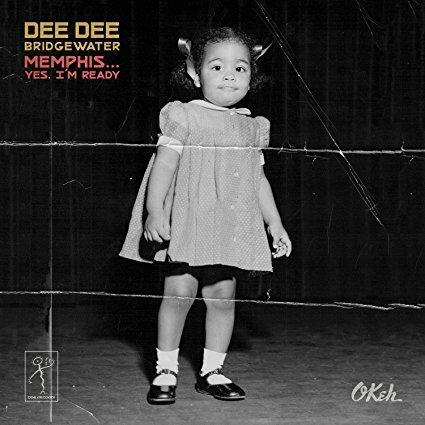 On Gayes’ “Inner City Blues (Make Me Wanna Holler),” Sheila deftly incorporates elements of “Trouble Man,” with Eddie M. (former Prince saxophonist) on lead vocals. “Pusherman,” the Mayfield classic from the Superfly soundtrack is sung by Sheila, who adds “You took Prince, Pusherman.” You know she won’t finish this album without a Prince tribute. Anthony Antoine was selected to sing the combined “America – Free,” yet another amazing and provocative track. 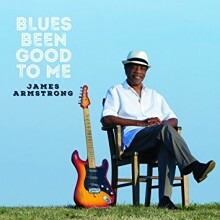 Posted in Popular, Rock, and Misc., Rhythm & Blues, Soul, Funk	| Tagged 2017 releases, 2018, 2018 music review, 2018 review, Barak Obama, Beatles, Bootsy Collins, Brenda Nelson-Strauss, funk, George Clinton, Iconic: Message 4 America, James Brown, John F. Kennedy, Jr., Martin Luther King, p-funk, Prince, Ringo Starr, Shiela E.
In June of 2017, five world renowned musicians came together to embark on a bold new project with no songs and no plan, but by the end of ten days they had completed a masterpiece. 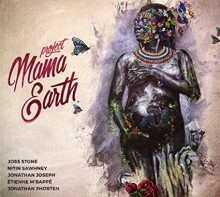 Both the group and their debut EP bear the name Project Mama Earth. Band members include Nitin Sawhney on guitar, Jonathan Joseph on drums, Étienne M’Bappé on bass, Jonathan Shorten on Keys, and the executive producer and lead singer, Joss Stone. Joseph and Stone have performed together since 2003 when he was drafted to accompany the young British singer on her debut album, The Soul Sessions. As they began working together to assemble their team, the choices seemed obvious. Joseph enlisted his longtime friend, Cameroonian multi-instrumentalist Étienne M’Bappé, who has played with acts spanning from John McLaughlin to Robert Ford. His heritage, rooted in rhythms, was a style they wished to tap into. That, and M’Bappé’s his shear musicality made him an obvious choice. Next they contacted Jonathan Shorten., who produced much of Stone’s music, as well as some of the biggest hits for multi-platinum selling artist Gabrielle and other British artists. Last but not least was guitarist Nitin Sawhney. 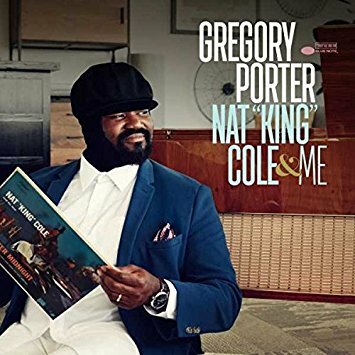 Described as a one man musical tidal wave, he’s collaborated with musical legends like Paul McCartney and Sting, as well as the London Symphony Orchestra. These musicians all came together at Joss Stone’s home studio in Devon, England where their ten day adventure began. Project Mama Earth contains six songs and five interludes, all centered around nature and the bikutsi rhythm. 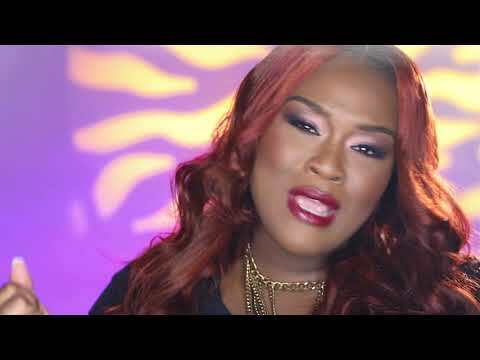 The first song on the album, “Mama Earth,” begins smoothly, prominently displaying the driving bikutsi groove as Joss Stone enters with her trade mark R&B sound and a nature inspired lyric. 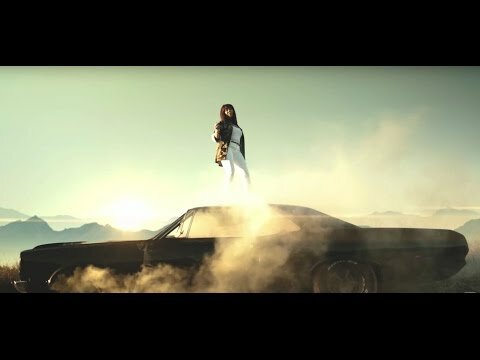 Stone explains that she wanted to keep her creative process separate from the four instrumentalists: “I didn’t have any input in the music because I didn’t want to affect it— or it’d all come out hip-hop and R&B.” So when the instrumentalists finished, they would bring the song to Stone, and with the help of her mother, they wrote the lyrics and melodies. Do you think I would cry if I run out of gold? I’d blink more than an eye if I get that old. Well maybe you think I forget how to cleanse my soul. I suppose I could just shake them off and let them go. 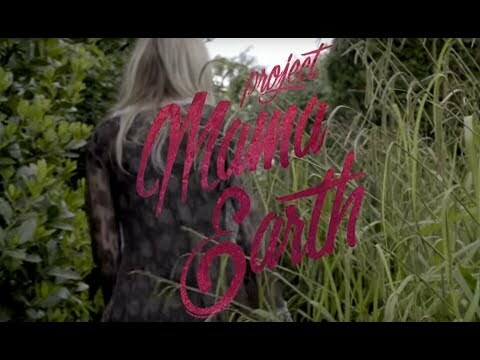 It’s so amazing that Project Mama Earth was competed within such a short period of time. One can only hope this musical team of Jonathan Joseph, Étienne M’Bappé, Jonathan Shorten, Nitin Sawhney, and Joss Stone will come together again to grace us with their art. Volume 3 continues the exploration of prominent Clef Club composers and their works, including founding member Alphonso Johns (“Ianthia March” written in 1902 for an African American bicycle club), Noble Sissle and Eubie Blake (“Love Will Find a Way” and “I’m Just Wild About Harry” from Shuffle Along), Clarence Cameron White (“Chant” from The Bandana Sketches and the spiritual setting of “I’m Goin’ Home” from Cabin Memories), Scott Joplin (“Wall Street Rag” written two years after his move to Manhattan), Frederick M. Bryan (“The Dancing Deacon” premiered by the Clef Club Orchestra in 1915), Will H. Dixon (“Delicioso: Tango Aristocratico”), J. Leubrie Hill (the newly discovered Overture to his celebrated musical My Friend From Kentucky), and J. Turner Layton (“After You’ve Gone” and “Dear Old Southland” orchestrated by Will H. Vodery). The set also sheds light on the works of lesser known African American composers, as well as works by prominent songwriters not featured in earlier volumes. The disc opens with the “Pork and Beans Rag” (1913) by Philadelphia native Ch. Luckeyth “Luckey” Roberts. Known as one of the founders of Harlem stride piano, Roberts was also a talented theater composer and orchestra conductor who took over as the “leading purveyor of high society music” following the death of James Reese Europe. This aggressive yet charming Eastern-style rag, which he later orchestrated, was among his first published piano compositions, as well as the first piece taught to his piano student – none other than a young George Gershwin. Two additional works by Roberts are also included: “Jewel of the Big Blue Nile” written for the 1919 stage production Baby Blues and sung here by noted soprano Janai Brugger, and a later orchestration of “The Tremolo Trot” (1914), notable for its infusion of classical music elements. Tragically, though Roberts remained a very prominent fixture in Harlem until his death in 1968, little of his vast output survives. Another Philadelphia-born pianist-songwriter, Q. Roscoe Snowden, is known primarily for a pair of 1923 recordings on the OKeh label. Benjamin has uncovered another instrumental, “The Slow Drag Blues,” published by W.C. Handy in 1919 and later orchestrated by a young William Grant Still. Though the success of this rendition is largely due to Still’s compositional technique, Snowden’s work is still a significant fusion of a 19th century African American social dance with blues, ragtime and jazz. Baritone Edward Pleasant is featured on James Bland’s enduring 1879 minstrel song “Oh! Dem Golden Slippers,” a parody of the spiritual “Golden Slippers” popularized by the Fisk Jubilee Singers. Bland was born in Queens and, like his highly educated parents, attended university before gravitating to African American minstrel troupes. He was one of the first black composers to be published and achieved wide acclaim at home and abroad, yet never moved beyond the minstrel genre. 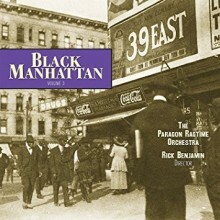 By comparison, Benjamin refers to Black Manhattanite Sidney Perrin as “a key transitional figure between minstrelsy and vaudeville,” who likely composed hundreds of songs over his forty-year career. Regrettably, the majority of his 50 surviving works were published between 1897-1910 and only document his early years. Benjamin opted for Perrin’s 1904 cakewalk “Well Raise the Roof To-Night (Whoop ‘Er Up Boys),” the title indicating the celebratory nature of the composition performed with aplomb by the PRO. Cincinnati’s Gussie L. Davis was one of the most successful African American songwriters of his era, but has not previously been featured. After relocating to New York in the 1890s he achieved considerable success composing musical revues, but died suddenly of heart failure in the midst of his first touring production. Chosen for this set is Davis’s most successful ballad, “In the Baggage Coach Ahead,” which sold over a million copies of sheet music. The Victorian-era parlor song is performed convincingly by tenor Chauncey Packer, accompanied by Benjamin on piano. Packer is featured again on the 1905 hit song “Just One Word of Consolation” by Tom Lemonier, another founding member of the Clef Club. 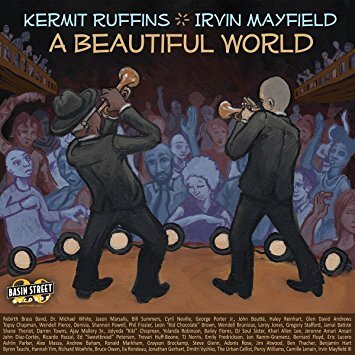 This lovely ballad was originally featured in the black musical comedy Rufus Rastus and later become part of the standard repertoire for early 20th century American tenors. As Benjamin points out in the liner notes, many of these singers likely assumed the composer was French, just as many had assumed Gussie Davis was a white woman. Another historically interesting work is “Royal Garden Blues,” composed in 1919 by Clarence Williams and Spencer Williams. Taking its title from a well-known black café in Chicago, the song was immortalized by the Original Dixieland Jazz Band in 1921. 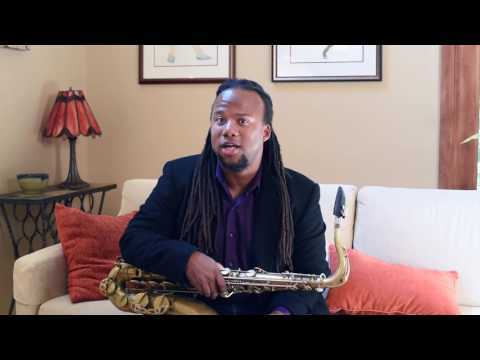 Benjamin discovered the original 1919 orchestration by African American band leader Dave Peyton, which notates every improvised slide and “hot solo.” Again, the PRO gives a fine performance, bringing life to an arrangement clearly intended for those uninitiated in jazz. Volume 3 concludes with “Lift Every Voice and Sing,” composed by James Weldon Johnson and J. Rosamond Johnson and performed by sopranos Janai Brugger and Andrea Jones, tenor Chauncey Packer and baritone Edward Pleasant, accompanied by the PRO. According to Benjamin, this rendition is the world premier recording of the original 1900 score. The vocal harmonies are similar to the earliest recorded version by the Manhattan Harmony Four (1923), but the PRO’s rendition brings full glory to the Johnson brother’s masterful composition which became the national anthem of the African-American community. As with previous volumes, the CD is accompanied by a 48-page booklet with meticulously researched biographies of the composers, several previously unknown to me. 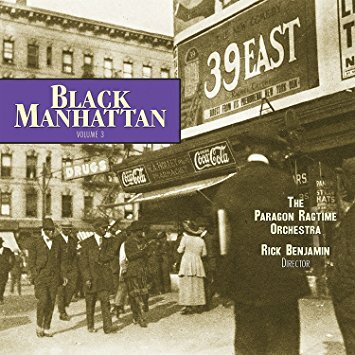 Once again, Rick Benjamin and The Paragon Ragtime Orchestra offer a carefully curated project celebrating the many composers of Black Manhattan, shedding light on lesser known composers and works, and advancing the study of American music of the late 19th and early 20th century. Freddi Gowdy was a founding member (with Henchi Graves) of the ‘60s soul duo Freddi/Henchi and the Soulsetters, memorialized in the 2010 compilation Crown Princes of Funk: The Last Set. 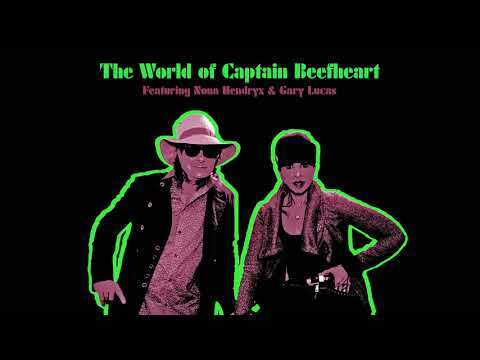 In the ‘70s, Freddi/Henchi relocated to Colorado where they became known as “the hottest funk-machine west of the Mississippi,” opening for major touring artists including James Brown and Tina Turner. After Graves passed in 2009, Gowdy hooked up with another well-known Colorado group, Chris Daniels and The Kings. 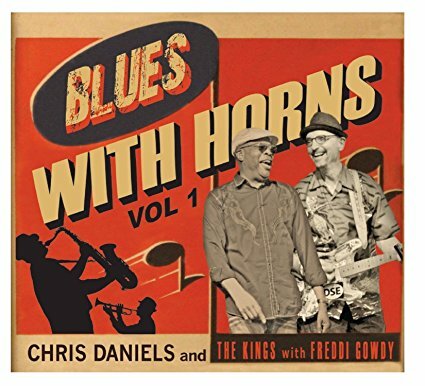 The title of their second collaboration begs the question, “what could be better than blues with horns? This segues into “Fried Food/Hard Liquor,” a celebration of down home blues, juke joints and “greasy lips barbeque.” The song is punctuated by harmonica and guitar riffs, which along with the horn section, often depart from anticipated harmonic progressions. Gowdy’s “Get Up Off the Funk” is an obvious tribute to James Brown, offering a workout for the horns with tasty riffs from sax player Jim Waddell. 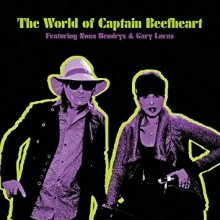 There are also a number of covers on the album. 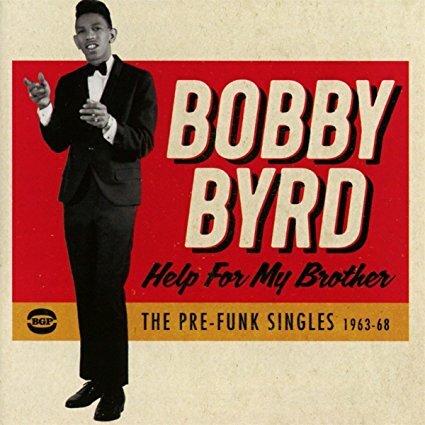 Highlights among these include Bobby Blue Bland’s “Wouldn’t Treat a Dog (The Way You Treated Me),” a fun and funky rendition of Johnny “Guitar” Watson’s “Baby’s In Love With the Radio” that tosses out some contemporary references to Spotify and Rhapsody, and a harmonica-infused version of Buddy Miles’ funk-rock classic, “Them Changes.” The project concludes with “Rain Check,” another original by Daniels, who takes over the vocals on this acoustic, ragtime influenced song that reflects on surviving cancer and living life to the fullest (Daniels and Gowdy have both battled cancer in the past). 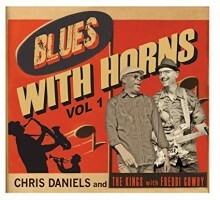 Blues with Horns, Vol. 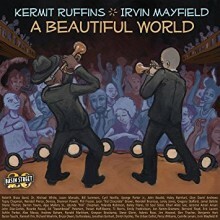 1 admirably serves the band’s mission of keeping the New Orleans-Memphis horn-band-blues tradition alive. As Daniels states in the liner note, “this music came from black culture and countless inspirations . . . we only scratched the surface” in this volume. As an added bonus, the CD comes in a pop-up book style limited-edition packaging by famed artist Greg Carr. 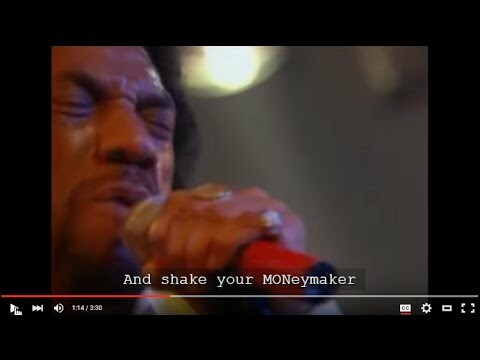 As Gowdy sings in “Baby’s In Love With the Radio,” give me more of that funk, rock and blues music! Let’s hope volume two is already in the works. 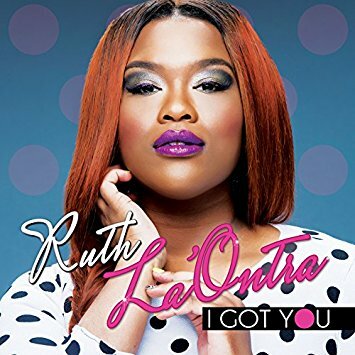 The album is anchored by La’Ontra’s uplifting hit song “Kingdom,” grounded by the chorus: “We are Kingdom, we are Kingdom and we have the authority / God has given us the power and we can change anything.” Here La’Ontra offers a powerful message to guide us through the New Year. I Got You was recorded live to maintain a true feeling of worship. 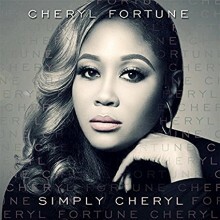 The album features arrangements of both new and old songs, like the organ accompanied hymn “Tis So Sweet” and the powerful worship song “Reign.” Between the lush harmonies of the accompanying choir and Ruth La’Ontra’s astonishing voice, I Got You has the makings of a true gospel classic. 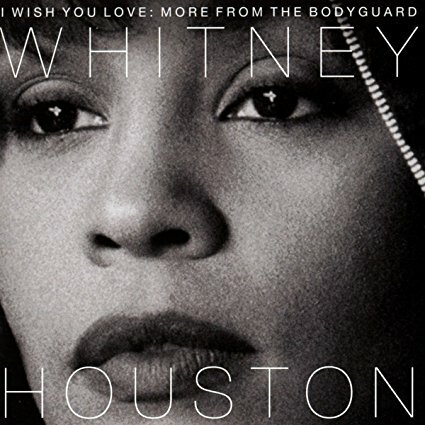 In honor of the 25th anniversary of The Bodyguard, the film starring Whitney Houston and Kevin Costner, Legacy Recordings has released I Wish You Love: More From The Bodyguard. 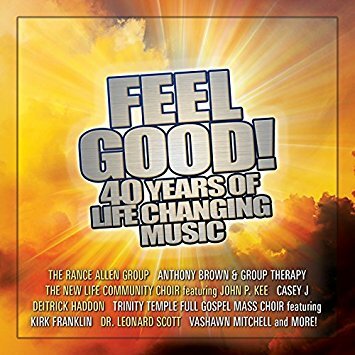 The compilation, released in cooperation with The Estate of Whitney E. Houston, brings together a variety of live and studio recordings, many of which are previously unreleased or unavailable. Included in this collection are live recordings from Houston’s The Bodyguard World Tour (1993-1995), as well as alternate versions of tracks from The Bodyguard film. Highlights include the never-before-heard a capella version of “Jesus Loves Me” and a live recording of the rarely-performed “Run To You” from The Bodyguard World Tour. The iconic Houston hit song “I Will Always Love You,” one of the best-selling singles of all time, is represented in two versions: one from the original film soundtrack, and an extended rendition performed live on tour. I Wish You Love: More From The Bodyguard not only celebrates the 25th anniversary of the film, but is also a fitting commemoration of Houston, who recorded the soundtrack at the pinnacle of her career. There’s a good reason The Bodyguard is the top-selling soundtrack album of all-time, and it’s apparent every time Ms. Houston stands in front of the mic. That voice! Though sadly she is no longer with us, this compilation album is a testament to the success of The Bodyguard and Whitney Houston’s lasting legacy, both on screen and on stage. Ghana-born drummer Paa Kow’s new self-released album, Cookpot, presents the listener with a wide range of influences. 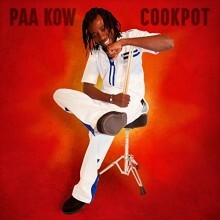 Paa Kow, who now resides in Colorado, has been performing since he was seven years old, and he initially gained fame in his native Ghana as the “Small-boy Drummer.” His virtuosity as a drummer is always present throughout the 13-track release, along with a unique stylistic amalgam of several genres. 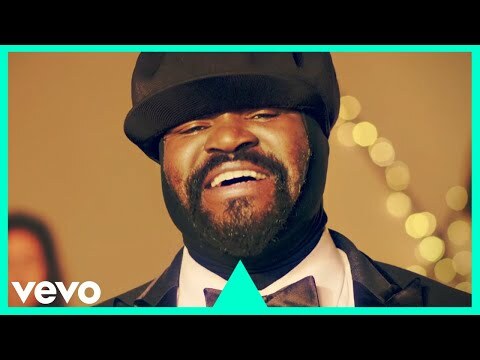 First and foremost, there is the stylistic influence of highlife, which is to be expected given his heritage and the music’s origins in Ghana. The listener unfamiliar with highlife could easily assume that Cookpot is a Caribbean release, and that assumption would not be entirely unfounded due to the fact that highlife has been heavily influenced by Afro-Caribbean music such as calypso. 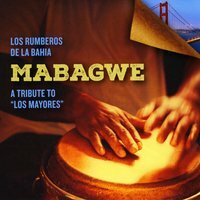 The opening track, “The Way I Feel,” begins as a standard funk tune, but it ultimately separates itself through Paa Kow’s impressive drum fills and a B section that is both heavily syncopated and laden with stop-time accents. 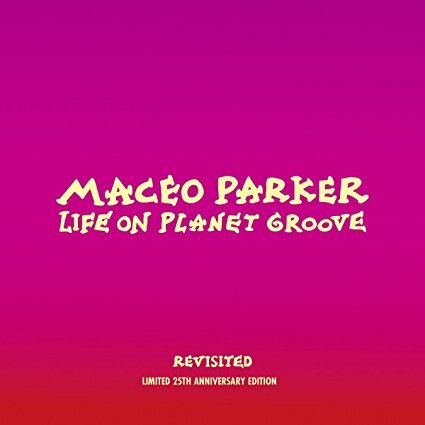 Accompanied by some stellar electric piano playing, “The Way I Feel” would be at home on one of Herbie Hancock’s funk albums. It is a track that sounds as if Herbie recorded an album with a Ghanaian drummer. The title track is deceptive. 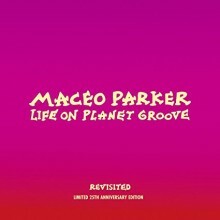 Its fusion of styles—world, jazz, and funk—is so seamless that it is easy to forget that it isn’t just a funk song. Like what can happen with a good meal, the end product often masks the flavor of each individual ingredient. “Cookpot,” then, is a fitting title for this track. Also mixing ingredients, “Forced Landing” is the most glaring example of the fusion of styles on this album. 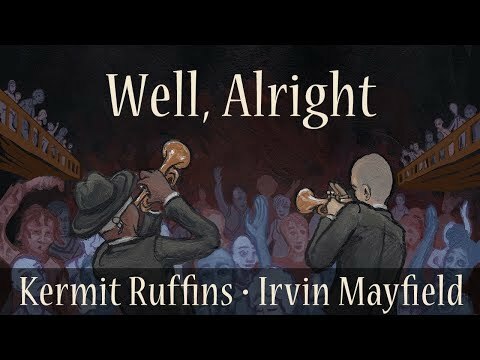 What begins as a jazz tune with an intro trumpet solo switches time signatures and transforms into a highlife song before ultimately changing time signatures again and settling into a funk groove. It is essentially three songs merged into one. 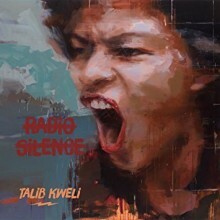 One of the standout tracks on the album is “African Lady,” which along with “Lonely” and “Pete Pete,” are the most highlife-influenced tracks on the album. “African Lady” is an upbeat tune with a complex rhythmic pattern laid out cooperatively by the drums, guitar, and keyboard. 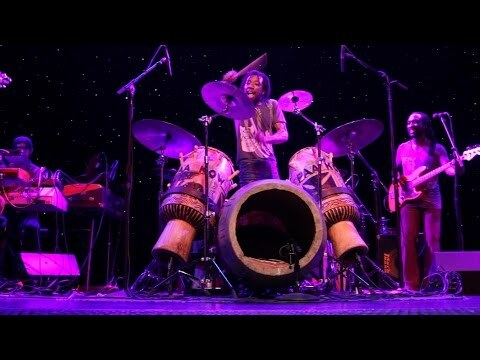 Drummers will find this to be an inspirational performance along with the track “Details,” featuring a solo where Paa Kow demonstrates his impeccable technique on the drum set. 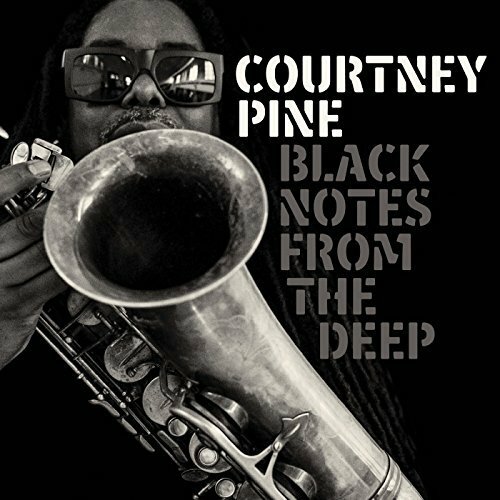 Collectively, this album’s focus is drum-centric, and it offers up a great deal of rhythmic complexity. 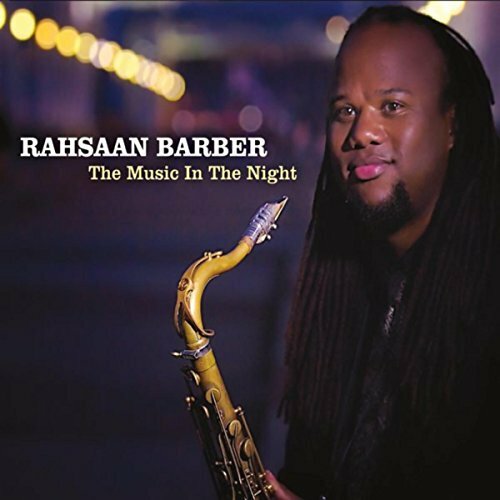 Nevertheless, throughout the recording there are some first-rate solos from the keyboard player, guitar player, and horn players. The combination of styles creates a unique product in that this is not the typical jazz-funk album. Paa Kow has thrown a variety of ingredients into his cookpot, and the result is an album that is equal parts jazz, funk, and highlife. Anyone who possesses a stylistically wide palette would be remiss to not listen to Cookpot, and those who enjoy listening to a virtuosic drummer cannot afford to pass this one up.